Tom, it looks to be in decent shape for a restoration. We'll look forward to seeing pictures of the process and the final result. 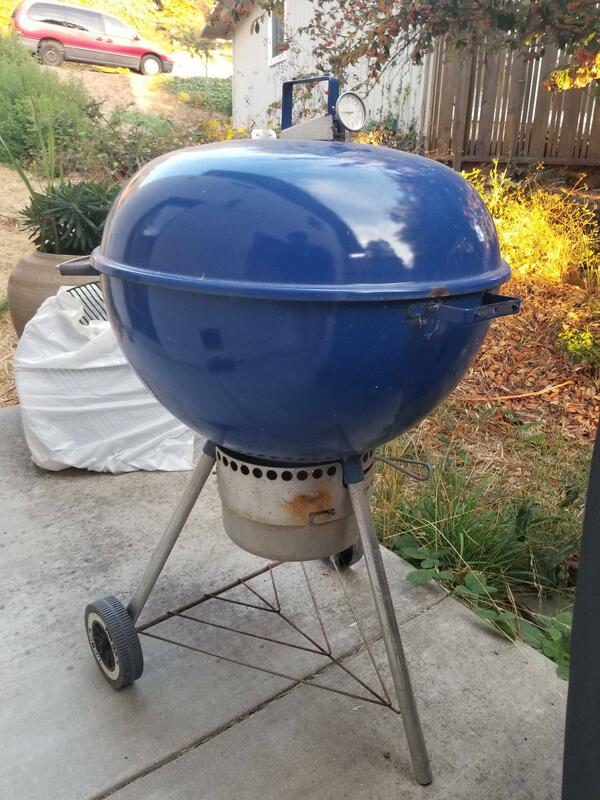 Yes...it's in great shape. Hoping to bring it as close to factory new...lots of cleaning and some replacement parts. Sounds cool. Post some pics if you have a chance, sounds very interesting! Yes, let's see some pictures! My 70th birthday is in the offing and I'm hoping for a Matfer Bourgeat 11 7/8" carbon steel frying pan. I hope you get it Bryan! It's the pan that is almost 100% on my range. It's my everyday pan. 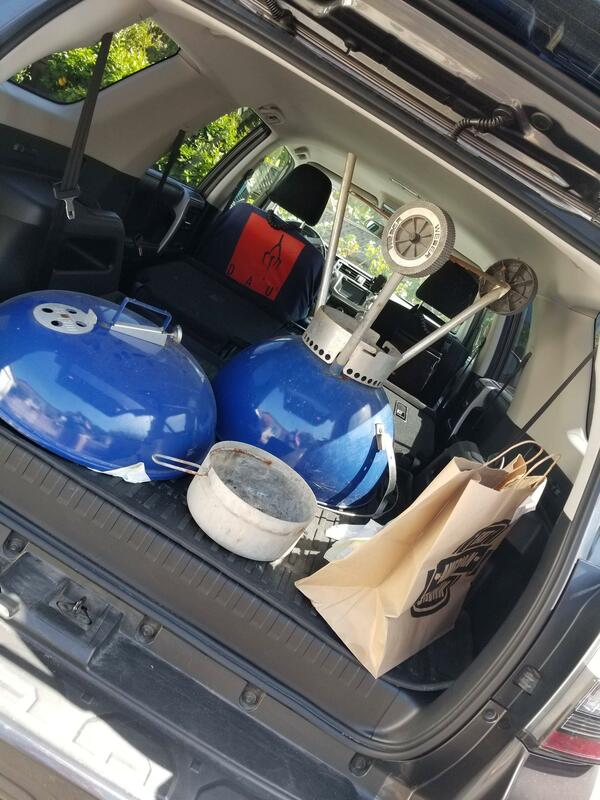 I added a "shorty" weber kettle to the team...this was a stray that was being thrown out. 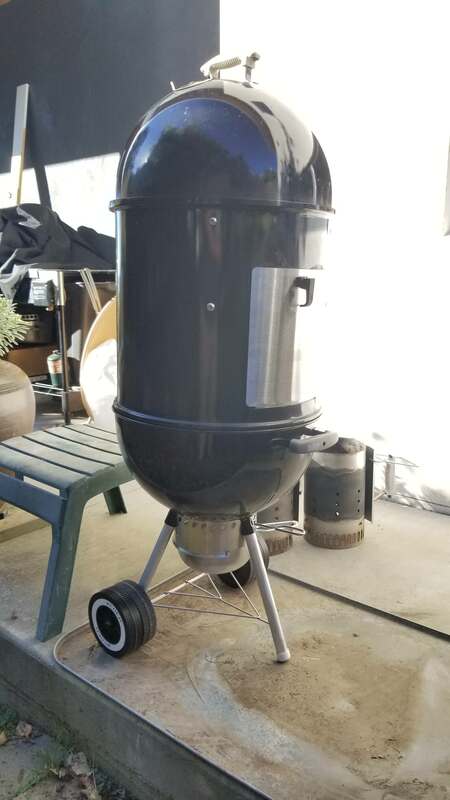 I chopped the legs down and its now the base for my smoker. This let's me add an ash removal system and one touch vents. (10-01-2017, 03:01 PM)Rufus Wrote: My 70th birthday is in the offing and I'm hoping for a Matfer Bourgeat 11 7/8" carbon steel frying pan. I did get it thanks to my daughter. 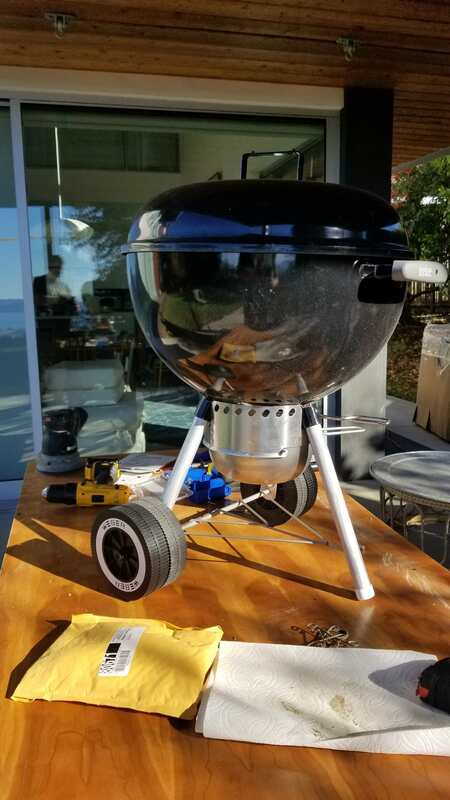 Seasoning has been a bit of a challenge due to the amount of smoke given off, but I’ll get there with the aid of my Weber gas grill. It’s a beautiful piece of kit. Rufus, you haven't gotten that done yet? Bring it over and we'll get it done together.